Philadelphia, The Once and Future Workshop of the World? Once known as the Workshop of the World, Philadelphia lost 400,000 manufacturing jobs over the last four decades. 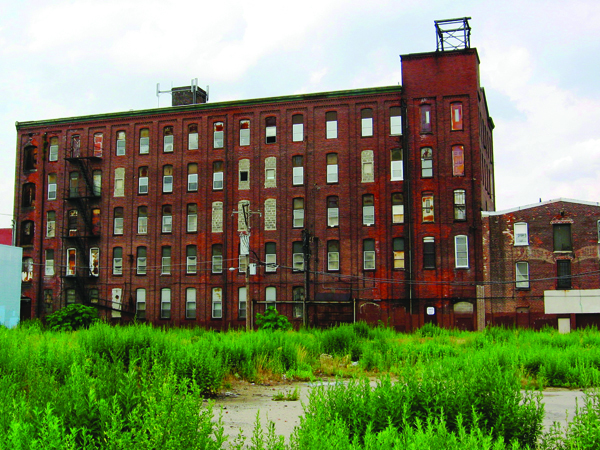 But according to the Emerging Industries Project (a report presented by the Sustainable Business Network of Philadelphia’s Green Economy Task Force), there is potential to redevelop local manufacturing in a more sustainable way. The city’s economy has been its most vibrant when the manufacturing sector was at its strongest. We have resources at our fingertips to increase production and create jobs. Manufacturing infrastructure from Philadelphia’s past remains, including its workforce, supply chains, and industrial properties and facilities. Philadelphia’s local economy (the ninth richest in the world in terms of GDP) exists as a great demand market to drive local production. Relatively low cost-of-living makes business operations competitively affordable, and our location and its transportation system provides great access to local and global markets. Mayor Nutter’s Greenworks plan aims to create 15,000 new jobs by 2015, and by developing local and sustainable manufacturing, we are on our way to meeting that goal with high-quality jobs and increased economic activity. Buying locally can extend beyond the food we eat. When we connect local supply and demand markets, manufacturers in Philadelphia will have buyers for their goods.